YOU get to choose as our coach drops passengers off at both of these wonderful locations! We’ll try and help you with your choice. Thriplow Village is famous for their spring daffodils in what is an already beautiful village. 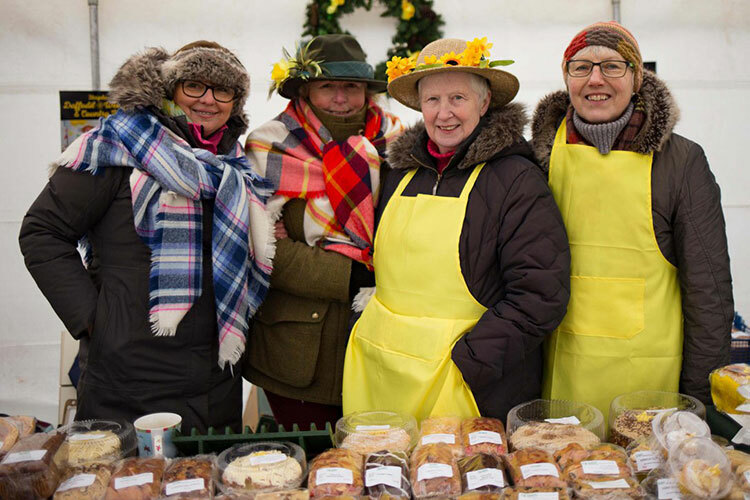 The annual March daffodil weekend has become famous not only for its fantastic array of colour, but there is so much to see as the whole village and many visitors turn out to enjoy the daffodil displays, stalls, live music, costumes, battle reenactments, Shire horses and Morris dancers! If that’s not enough, there is plenty of food to choose from with homemade cakes and sandwiches through to the lovely village pubs for a heartier meal, perhaps with a pint or glass of wine. It really is a wonderful day trip, showing the true beauty and character of a traditional English village. Many people opt for the famous Duxford Imperial War museum. Imperial War Museum Duxford is a historic airfield and museum telling the stories of those who lived, fought and died in war from WW1 to 1969. Walk through the same hangers and buildings as those who served at RAF Duxford. See aircraft take to the skies from the airfield that Spitfires first flew. And get up close to over a century of aviation with hundreds of aircraft and objects on display. There is so much history to see, with knowledgeable staff to talk you through it. Take a rest at the on-site restaurant or one of the cafes at IWM Duxford. Each location has something different to offer, from a full American style hot meal in The Workshop Restaurant, deli sanrdwiches within The Armoury Café or sampling tea and cake overlooking the latest American Air Museum. A tricky but enjoyable choice.